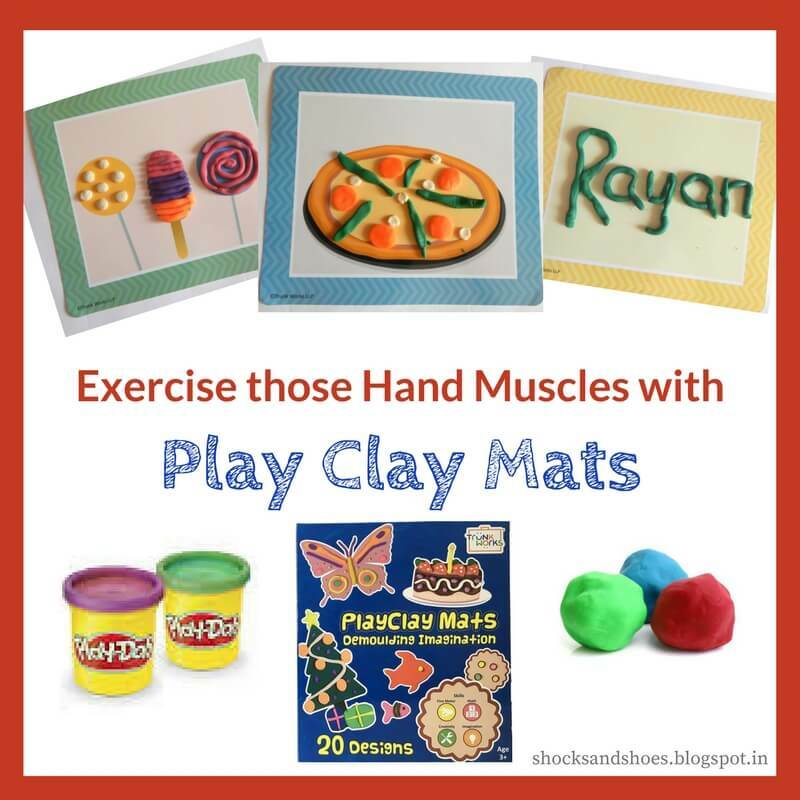 Exercise those Hand Muscles with Play Clay Mats! When was the last time you tried to write something, with a pen or pencil? Did it feel harder than you expected it to be? If so, then you are just one of the billions of people out there who are slowly 'losing their grip'. As a generation, the constant typing and swiping on our smartphones have weakened the muscles in our hands. I'm not making this up, it's science! A study published in the Journal of Hand Therapy showed that young adults had 'significantly weaker hand grips than young people tested in 1985'. Now not only is this important when it comes to opening jars and shaking hands, a weak grip is an indicator of general weakness, especially as you age. Obviously, things are much worse with the younger generation - at least we didn't start swiping for the first twenty plus years of our lives! It's a grim picture, but we can prevent it by letting our kids do activities that strengthen their hand muscles. 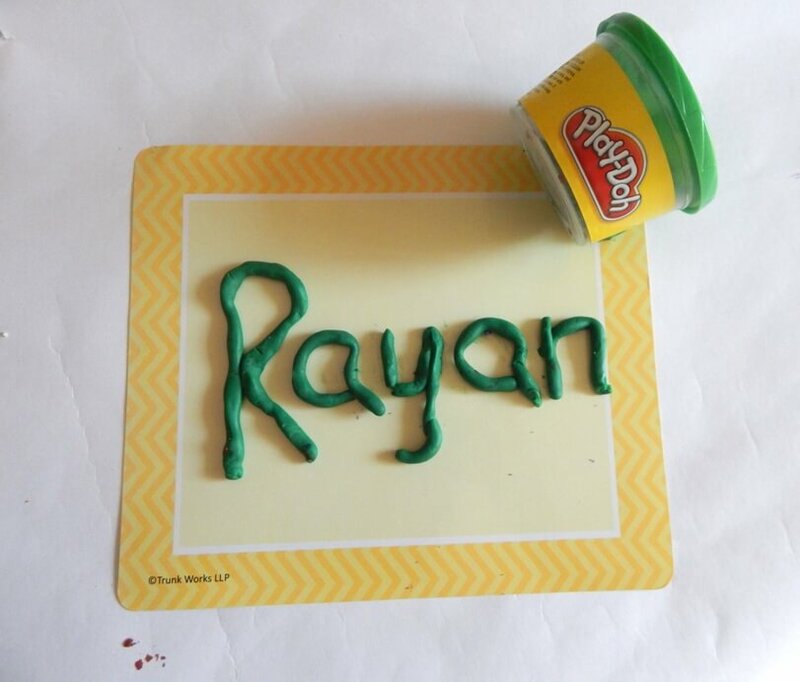 And I can think of nothing better than playing with play dough! 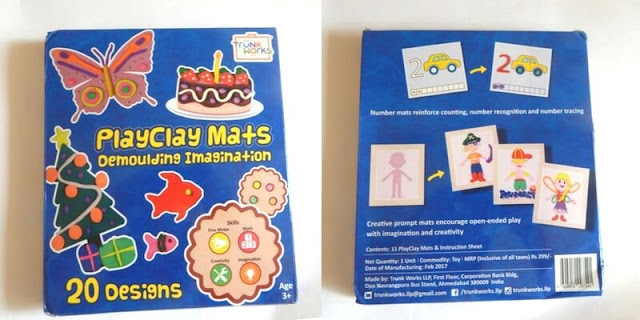 If you've tried play dough and it didn't hold your kids' interest, I've got just the thing for you - Play Clay Mats from Trunk Works! This summer, don't let the kids sit idle and stare at screens, or worse, swipe at them! 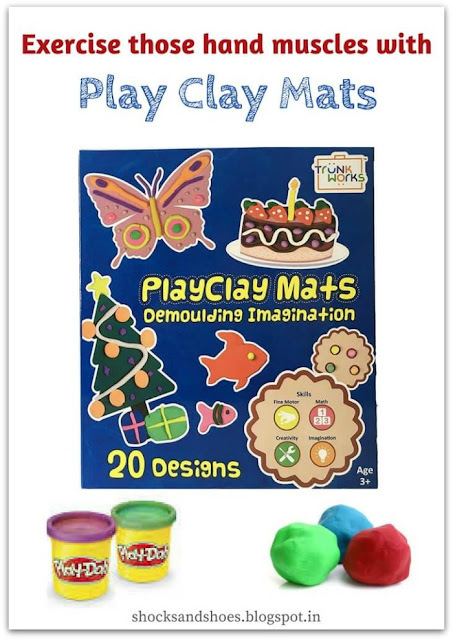 Spread out some sheets, get out colored tubs of play dough and the thing that's going to bring it all together - Play Clay Mats! Play Clay Mats are double sided mats, to be used as a base or template for play dough or clay. The play dough is not included, and there are 12 mats in all, including an instructional sheet. One side of each mat has a number on it, from one to ten. 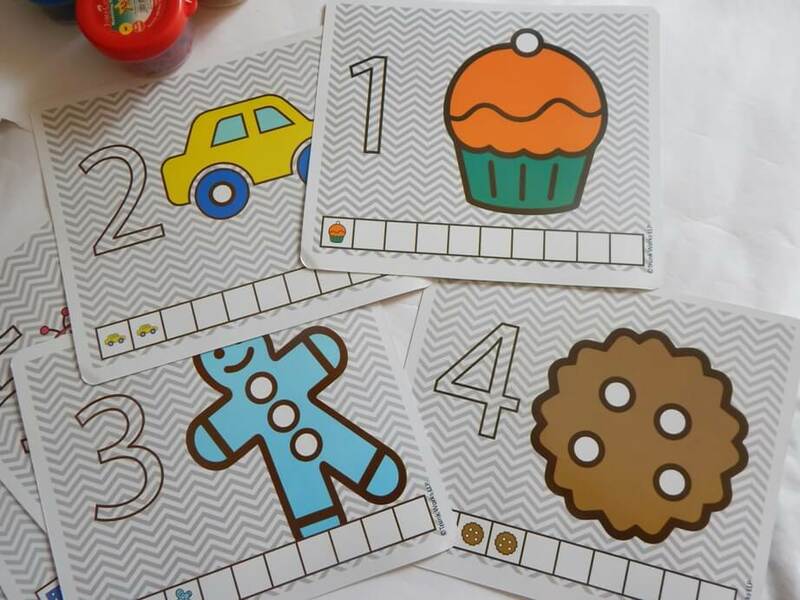 Each number mat features a picture and the number itself. The other side of the mats are the creative prompts, which are kind of open-ended templates like an underwater background or a blank face. That's a box filled with all kinds of play possibilities! 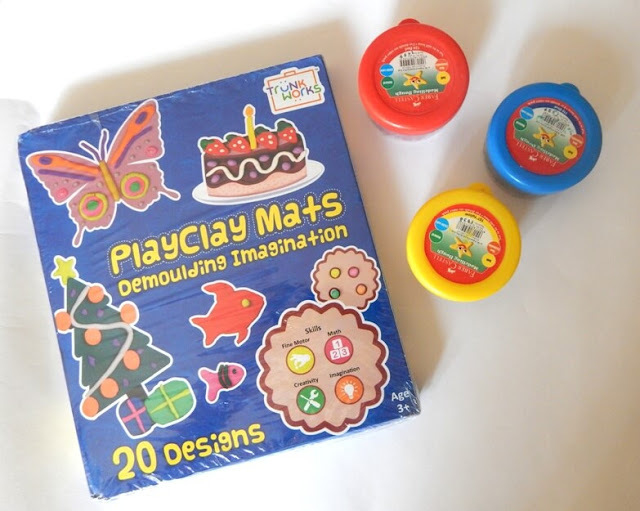 Here's a look at the different ways the mats can be used with play dough. 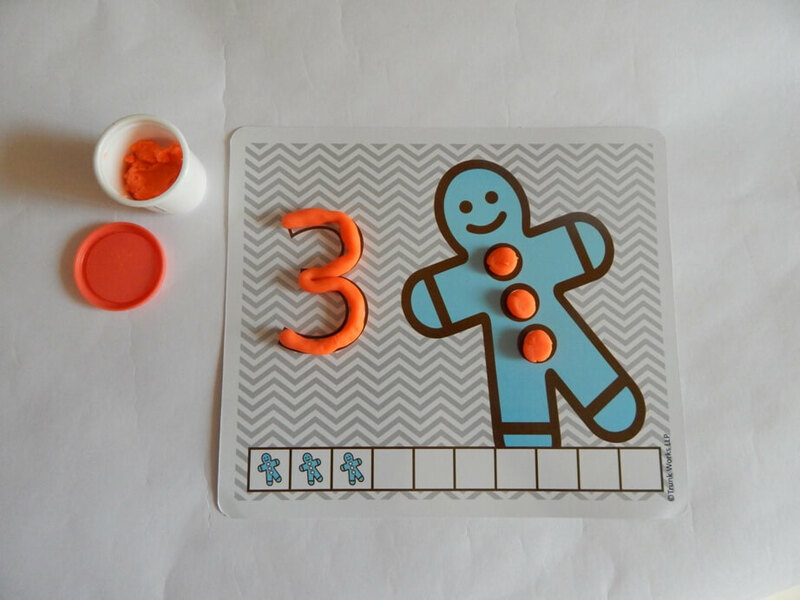 Use the number sheet to learn counting, by making the required number of balls out of play dough and sticking them on. Use long strips of play dough to trace out the number - great for early learners! The strip at the bottom of the mat offers additional counting experience. 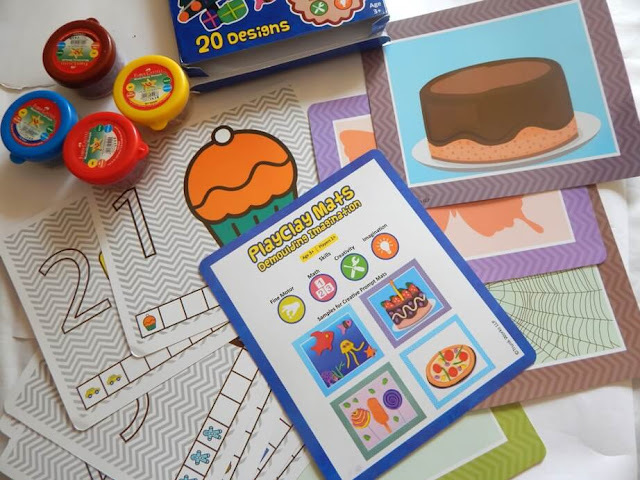 The creative prompts are clear, but un-detailed, which is excellent for open-ended play! 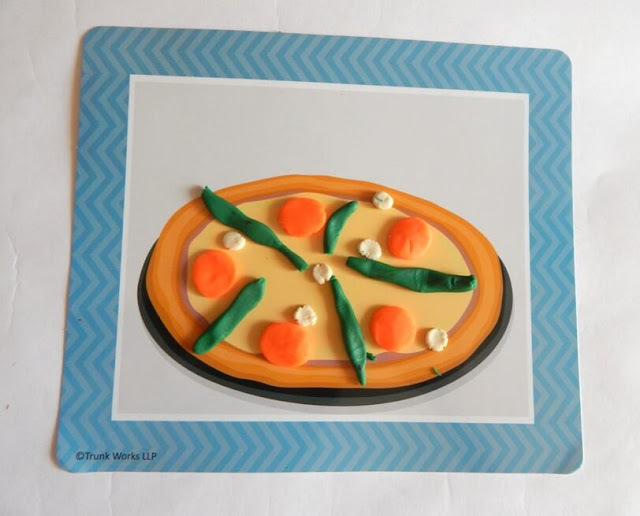 Decorate the cake any way you like, add your choice of toppings to the pizza and create your favorite cartoon character with the body template! 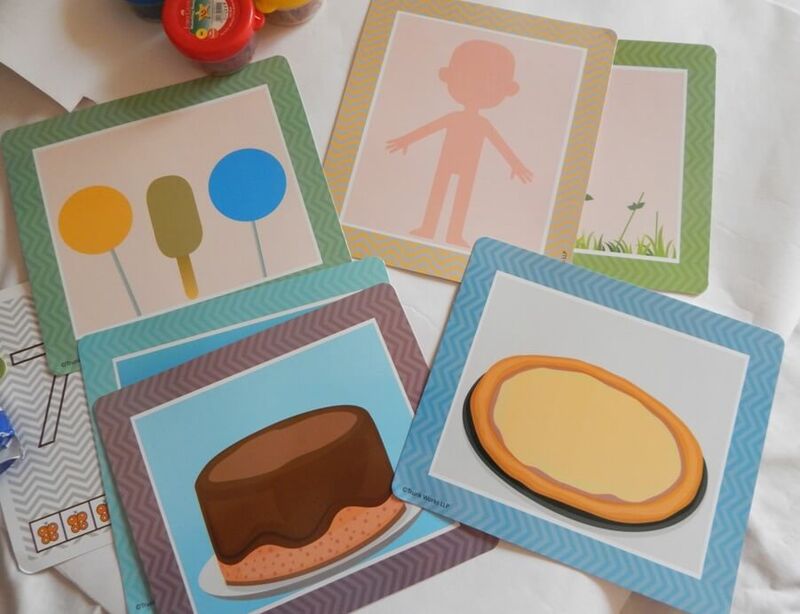 The background scenes are good for the older kids, who can use their imagination and think about the various elements they can add to a particular scene. The blank mat is ideal for the times when kids are feeling particularly creative and want to make their own custom design. The mats are of good quality, and could be easily cleaned with a damp cloth. One swipe with a dry tissue and we were ready to play again! Cub is 8 years old and I wondered if the number mats would be a little underwhelming for him, but the truth is that he enjoyed them, never having learnt numbers this way before! We then moved on to the creative prompts - now this is where the real fun began! The foodie that he is, Cub decided to top his pizza with some salami and capsicum. Dinner has to be followed by a dessert and Cub went with decorating some colorful ice lollies, which was super fun! Once we were done, it was easy to put away all the play dough in the tubs and wipe the mats clean. Everything goes back into the box easily - which is what every Mom ultimately wants, right? I'll recommend the Play Clay Mats - 100%!! If you have a kid anywhere between the ages of 3 and 10, this is sure to be interesting. 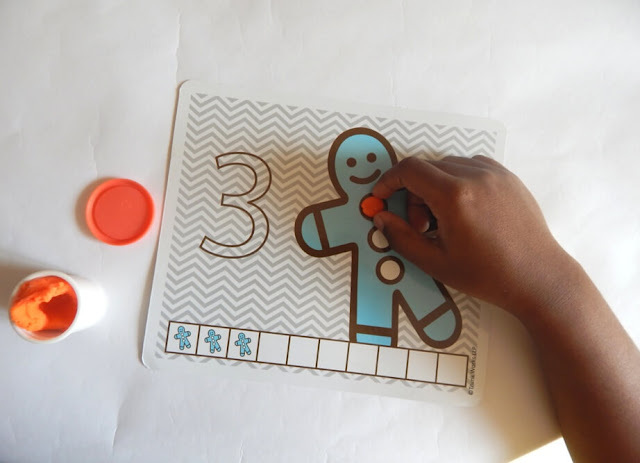 The younger kids can learn counting and number recognition, while the older ones can make more use of the creative prompts. 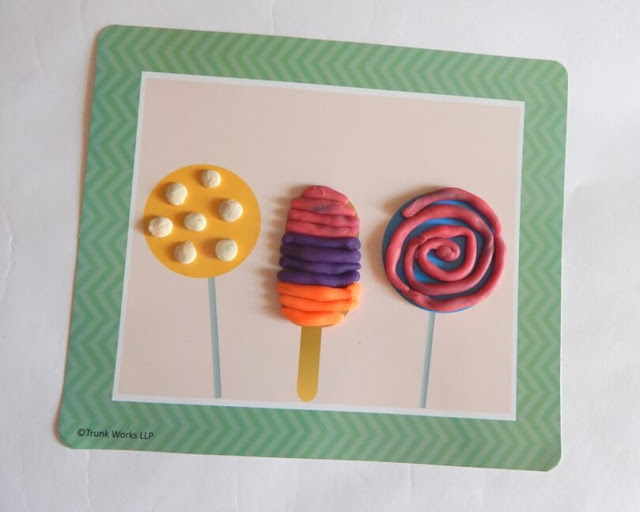 So gather all your play dough tubs, open a box of Play Clay Mats and get ready to create! You can also get in touch with Trunk Works on their Facebook Page or on Instagram. Sometimes a story has the ability to teach us about a country, an uprising, a revolution. Dr. Zhivago is one such book by Boris Pasternak, that takes you on a journey through the Russian Revolution in the early 20th century. 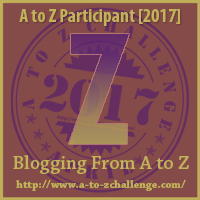 The story about the publishing of Dr. Zhivago is in itself worthy of a novel of its own! The Russian government didn’t approve of the novel, due to which it had to be published in Italy. Then it went on to win the Nobel Prize, after which the author got letters threatening to kick him out of the country if he accepted it! And it’s not what happened outside the book, the book itself has enough drama in it! 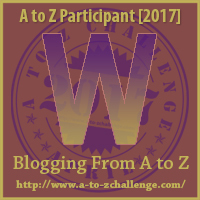 The story follows the life of Yuri Zhivago, a little Russian boy who is orphaned and who then grows up to become a physician and writer. 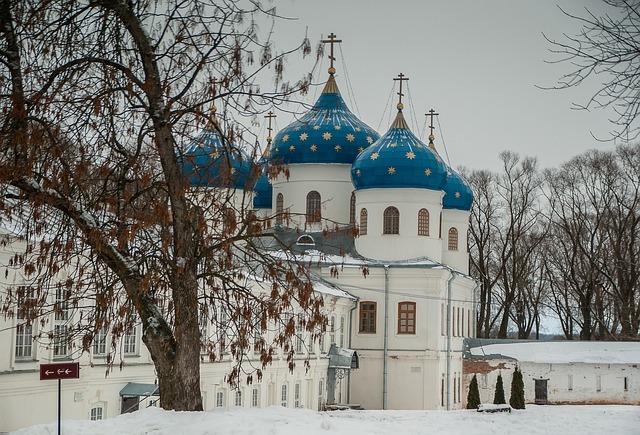 Yuri’s life undergoes several changes, just like the Russian empire. 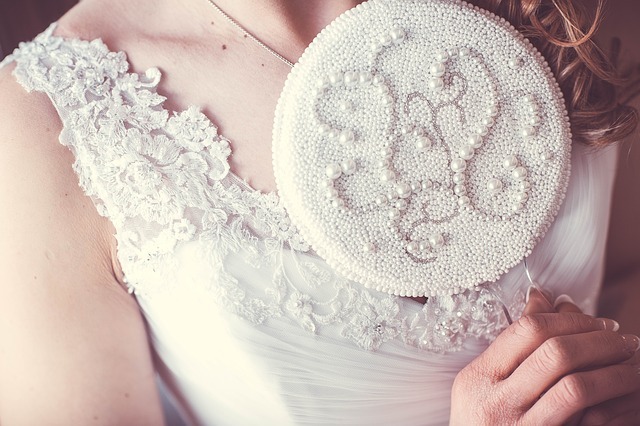 The story includes at least two generations, with many, many characters. You might need a pen and paper to keep track of who’s who! Pasternak has a lot of rich details in his story. Yuri, like the others in the story, yearns to find true love and companionship but the unrest in his country makes matters complicated. 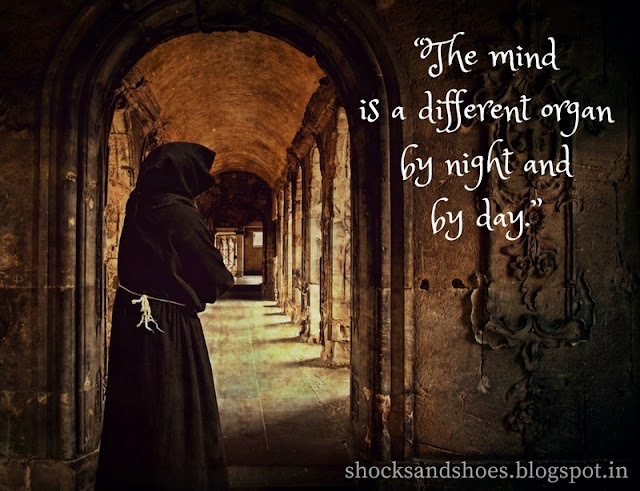 The story is also about human nature – both the light and the darkness. Yuri is clearly the main character, but it’s hard to call him a hero. He’s just a regular man, searching for something that eludes him. Dr. Zhivago does need a bit of effort to read, but it’s completely worth it. You get transported to the Russia of the early 1900s, and can feel the unrest – both around the people in the book and inside their hearts. 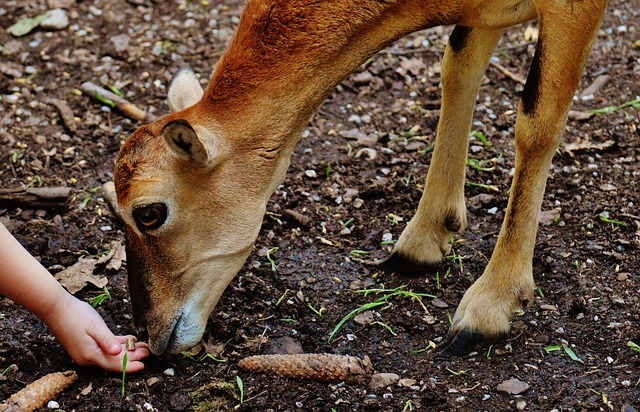 The Yearling is a book that gets down to the very basic needs of a person – food, water, love and companionship. In a world dominated by social media likes and debates on reality stars, this story is hugely humbling and reminds us of what we’re really made of. The Yearling is a story of young Jody, an only child who lives with his farmer parents in Florida post the Civil War. 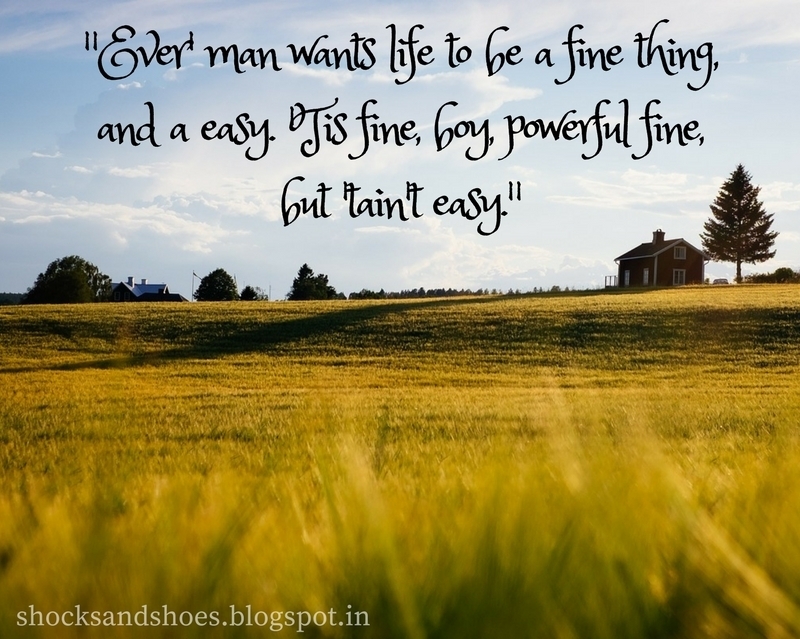 Their life is simple, but not easy. There is hard work to be done on their land, annoying neighbors to fend off, and of course, a lot of growing up to do as well. Jody’s mother has become bitter as a result of several babies who died before Jody, and seems rather detached. However, his father, Penny, has been through a tortuous childhood and is resolved to make it much easier for his son. It’s heartwarming to see Penny’s love for his son, and every parent can understand Penny’s wishing he could protect Jody from life’s difficulties. Jody’s life turns around when a new, four-legged friend enters the scene. It’s lovely to see how a creature will reach out to another one for companionship – never mind the difference in species! It’s nice to read about the two lonely souls enjoying each other and you wish it would stay the same. However, life isn’t so simple, and eventually Jody has to realize this – the hard way. In my opinion, this book takes you down to basics. As you listen to Penny, who takes great pains to inculcate a love of the earth in his boy, it gives you a whole new sense of appreciation for people like them, people of the soil. It’s a great reminder of the simple joys of our lives and makes us think of what’s really important, at the end of the day. 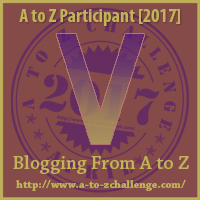 Finding an entry for X is never easy in an A to Z Challenge! It was the same this time too, and I’ve finally settled upon Xala, a novel translated from French, written by Senegalese writer and director, Ousmane Sembène. And an entertaining novel it is! The story is set in Senegal right after the country wins its independence from the French. The impact of post-independence colonialism is analyzed through an interesting analogy – a man’s sexual potency!! El Hadji is a Senegalese businessman who has no qualms about building his wealth by looting from beggars and other downtrodden groups of the Senegalese population. He still clings on to the colonial era, speaking French and drinking Evian mineral water. Hadji is also a husband to two wives, a fact that elevates his social standing in the Senegalese community and thereby increases his business potential. 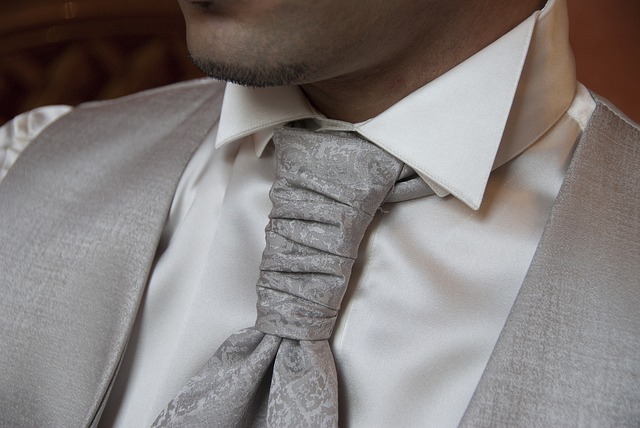 Unfortunately, on the night of his third wedding, Hadji finds that he has been cursed and has become impotent! He hunts high and low for a cure, not even knowing who put the curse in the first place. He becomes so obsessed with this that he starts ignoring his business. The very virility which once had him on a pedestal brings him crashing down. The novel is also a satire on the hypocrisies in African communities, especially where it concerns the treatment of women. The author tries to use Hadji’s case to bring attention to the plight of the Senegalese population when their leaders are busy filling their own coffers. Of course, he did choose a rather unconventional way to put his point across, but the story is such fun to read that we’re not complaining! Sometimes you come across a book that just consumes you. 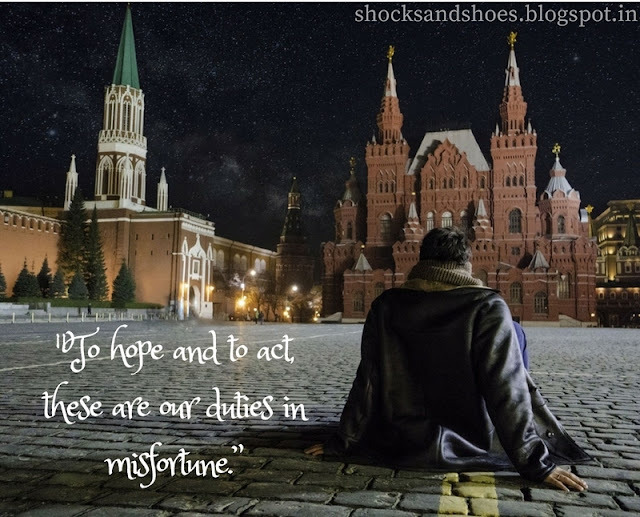 You start reading, and before you know it, you are inside it, living with the characters, feeling their pain and praying for them. And when it ends, you feel a strange sort of disconnect, like you belong neither in their world nor yours. That is the power of a book as exceptional as Wuthering Heights. I’d like to say one thing at the outset – this book is not for the faint hearted. Passion is the keyword as far as this book is concerned and it’s there in all emotions – love, anger, hatred and heartbreak. In a nutshell, the book is a love story, but it’s also about revenge, wrong choices and the cycle of violence. The main characters of the book, Heathcliff and Catherine, are less likeable than most of the other characters, but you still hurt for them. Emily Bronte’s characters are flawed people, but it only makes them humans who feel deeply. 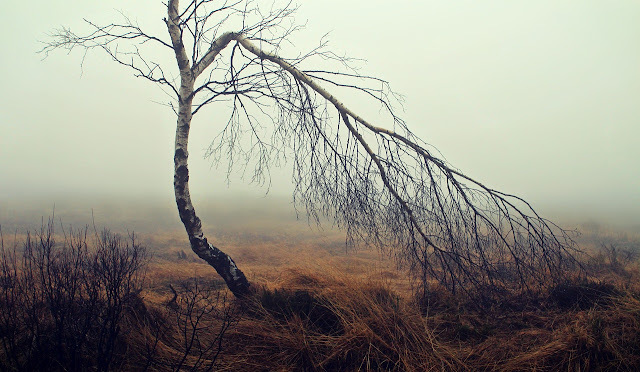 The intensity of their feelings is probably because of where they live – the Yorkshire moorland. The moors feature significantly throughout the book, and you can hear the hollow moaning across the withered trees and the vast lands. Yes, the setting is rather bleak, but the love story isn’t a happy one either. At several places in the book, there come instances where you understand why the character is acting so, but you still want him or her to stop. The characterization is brilliant, and you can truly feel the character’s love, pain and anger. If you’re a generally calm and collected person, the events in Wuthering Heights may seem a little over the top. As for me, Wuthering Heights has been a book that holds me in its power whenever I read it and it only makes me love it more. 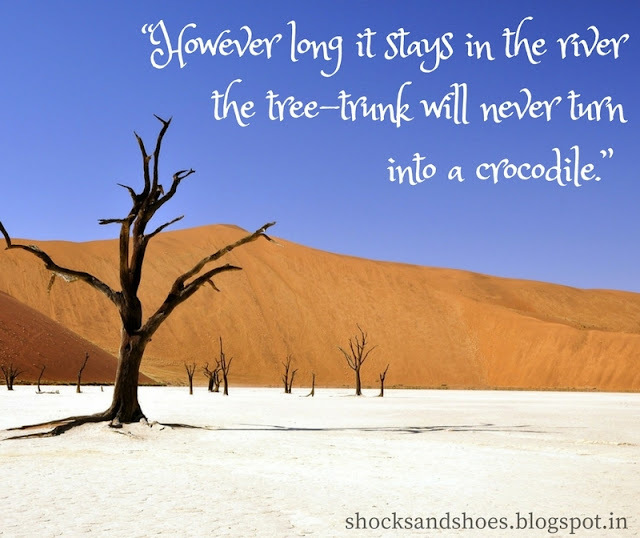 In most stories, there are some elements that you can’t do without. A protagonist, an antagonist, lots of supporting characters and of course, a story line. However, in William M. Thackeray’s Vanity Fair, you’ll find that all these tend to be a little mixed up! The title Vanity Fair refers to a fair in John Bunyan’s ‘Pilgrim’s Progress’, which focuses on man’s endless pursuit of unnecessary or material things. 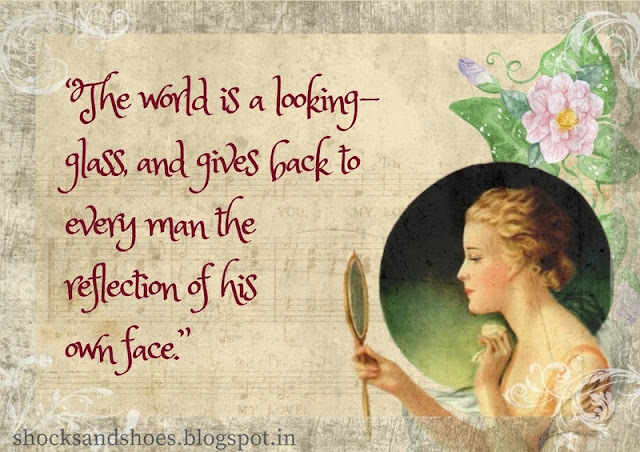 As a result Thackeray’s novel is also about how the various characters’ life choices are defined by this pursuit of vanity and what they think are important things when they really may not be. Like I mentioned in the beginning, Vanity Fair is not your average 19th century novel. For starters, it’s not narrated by any of the characters in the story. The narrator is someone outside the circle, and the entire story is told as if describing a rather long-drawn out puppet show. Unfortunately, the narrator’s source of information appears to be gossip handed down by others, which may not be a 100% true! Another point is that this is a ‘novel without a hero’, there really is no one person who is ‘good’ – every single character has his or her own faults. Yet, Thackeray’s writing ensures that you don’t end up loving or hating anyone – you just sort of understand them. And that seems to be the author’s aim – to let us know that we’re all human and that vanity is ingrained in human nature! The main characters are two women, and the men seemed to occupy a secondary position. The characterization is well done, and you can’t help feeling that you’ve known or at least heard of someone like Becky or Rawdon Crawley. The result is a classic that’s one of UK’s best loved books, loved by other literary stalwarts and adapted into several plays and movies! 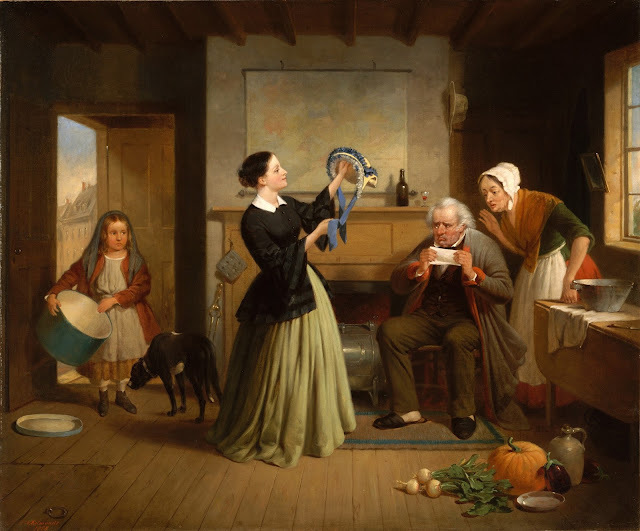 Thackeray attempted a satire on English society in the 19th century, but as we all know too well, gossip, vanity and the lure of material things are all too present in today’s world as well! 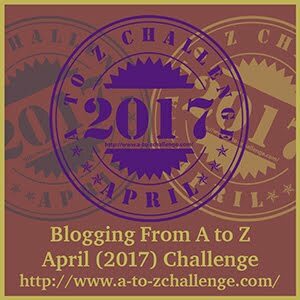 The novel is rather long with some difficult-to-understand literary references, but give it a shot – you might enjoy it! 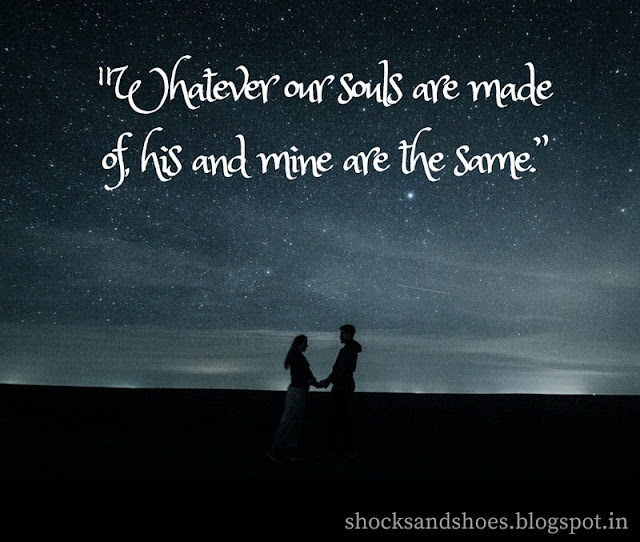 When I talked about Frankenstein, I talked about how horror isn’t my thing. However, thrillers are, and I love a good mystery any day! I do enjoy my Michael Connellys and Robin Cooks, but sometimes a vintage thriller like Uncle Silas beats everything else! J. Sheridan Le Fanu, the author of Uncle Silas, was an expert in the horror/thriller/mystery genre, and this is one of his most famous works. The story is from the point of view of a young girl, Maud whose father’s brother is her Uncle Silas. The very setting of Maud and her father living in a huge mansion is ripe with potential, and the author does make the most of it! After her father’s death, Maud is moved to Silas’ home, which has several more creepy elements, including his strange children! When you’re stuck in a huge mansion with so many rooms and a weird uncle, you can’t help but expect something unpleasant to happen. And happen they do! In thrillers like this, the quality of writing is very important, and Uncle Silas is excellently written. You don’t know what to expect next, and if things are really as they seem. If you’re in the mood for an old fashioned Gothic thriller set in a large mansion abounding with dark and questionable characters, then this is just the book for you! Welcome! I am Fab, a freelance writer and Mom to a boisterous six year old. In my free time, you'll find me here, talking about everything under the sun! Birthday of the Hubs, and first Outfit Post of the Year!